You've known our address at the end of Bears Bluff Road as "Irvin House Vineyard" for over a decade. Jim and Ann Irvin have been instrumental in transitioning their retirement dream into our lifelong dream, and we will forever be grateful. Nestled among the majestic live oaks on Charleston's back porch of Wadmalaw Island, this 48-acre winery and vineyard has something for everyone. We are the only domestic winery in Charleston, South Carolina and should be on the top of your list when visiting the Lowcountry. A local and visitor favorite, we grow and harvest the grapes as well as make and bottle our wines all on site. You'll find us about 30 minutes south of Charleston, on the sleepy island of Wadmalaw. 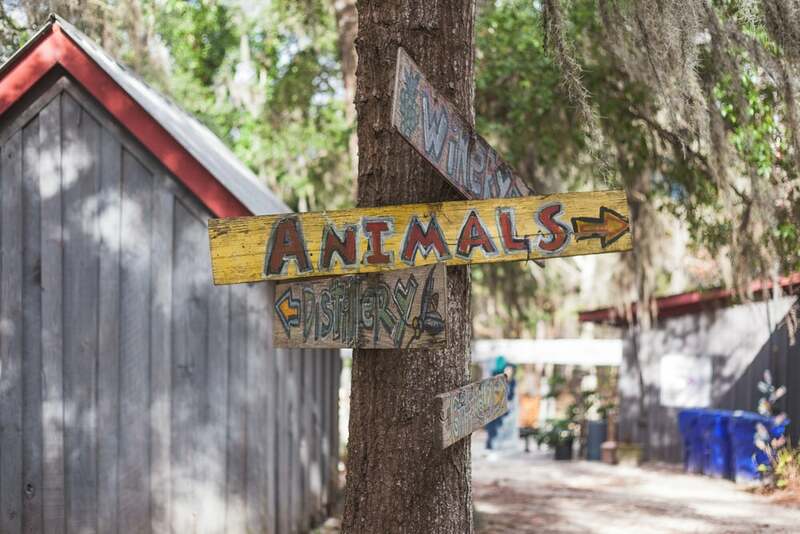 Our vineyard offers walking trails, many animals to get to know, a garden, a large pond, the winery (of course), our gift shop, and Firefly distillery. Prepare to spend a few hours, or a full day enjoying a walk through the vines; or take advantage of our affordable and informative wine tastings. Whether you’re a large group or intimate couple, the vineyard has plenty of things to do. We encourage families to bring picnics along with blankets and chairs so you can sit back and truly relax. Animals are allowed to visit us as long as they are leashed. We're open Tuesday-Saturday from 10:00 a.m. to 5:00 p.m. To inquire about the vineyard and our tastings, email us at info@deepwatervineyard.com. Jesse and Andrea are transplants to the south, but don't let that fool you. They both embrace the hospitality and southern charm that embodies the mystique of Lowcountry living. In 2012, after having enough snow to last them several lifetimes, they began a search for somewhere that they could raise their three young boys with adventure, intrigue, and purpose. The search was over when they visited South Carolina. Two years after moving south they were dared by some friends to inquire about Irvin-House Vineyard. The rest, as they say, is history. Jesse and Andrea feel incredibly blessed and are continually humbled by Jim and Ann's transition of this property and we hope everyone who has grown to love this winery will continue to visit and help us take the next steps as we dive deep and re-brand it as Deep Water Vineyard.